Update: Thanks to @duggalsunil for bringing this new post in reference of the issue in my notice. Its seems that N8 Hard Reset issue is a non-issue now and after hard reset/ 3 finger reset, one can easily restore Ovi Store etc by just checking into SW Update. If one gonna try the same, then please update me with your experience. Qt while being core of upcoming awesomeness on Symbian, been a problem for it at the same time due the transition/development phase of tech as of now and one of the biggest issue been Nokia N8 Hard Reset. Let’s share my own experience about the same and the easiest solution around the same issue with official means. After getting assurance from a few of blogs and official words, a few of us started getting convinced that Symbian^3 PR1.1 finally came to resolved the infamous Nokia N8 Hard Reset bug, but still many like me didn’t went for trying the same myself and last night it came out to be that we were right. While common sense said that if in place of going through the unofficial three finger hard reset, if one goes through the official factory reset (I added Delete data and restore), then it should not brick the phone, but thanks to transition phase and under development Qt, common sense doesn’t apply here. It didn’t took second to me for understanding that this is the classic case of what we Nokia N8 owners were already aware of, but I was intentionally doing so …. A simple restart and I was able to install Ovi Store now as the sis file did restored the Qt version to the last stable version as came with PR1.1. But there was still something left … Ovi Maps checkin, which was still giving System Error. Solution was again a simple one, downloading the latest beta from Ovi Betalabs and install the same to overwrite the current version in phone as of now, but don’t forget to get a GPS lock via the old maps for once to get the folder structure ready for upgrade. The final step in my case was downloading the maps data for India (around 252 mb) on phone and my Nokia N8 was again like a new one. And yes! at the end, uninstall Qtdowngrade from Application Manager. Did I wrote some long list of steps? Does it look like some lengthy solution? Obviously this method became a possibility after initiative from awesome Betalabs developers only, but this effectively removes the scare from those phonix methods or reflashing the devices. I am sure, many might wanna try this with their N8 now. I will suggest you to take full backup of each and everything from your phone and only then going for it. Note that this method is still for only those people, who know their stuff or those who are already left with a bricked phone or a phone with very less phone memory. Try at your own risk. We all slowly getting used of reading such tweets on twitter now days with rising love for fruits all over and in the same time, we were blaming the “dead” symbian (with millions sold devices in last few months only) for the infamous Nokia N8 Hard Reset bug. Grow up! its just like any other platform … you have a simple cure now. i have already tried the steps above after the three finger reset and they dont solve the Ovi store problem. Files will be removed by using 3 fingers reset or using factory reset with delete data option. The method I given here deals with issue related to Qt and missing Ovi Store etc. This is for people, who wanna get back their N8 like new means with more space in phone memory. Before doing so, obviously one needs to backup all the data from mass storage and need to keep in mind that he might loose the access from all DRM content. After hard rest anybody tried the software update to restore Ovi store?I opened a thread with nokia ovi store discussions and the last update says this method solves the ovi store issue. Strange, somebody even confirmed the same. I Think many confuse between normal reset and hard reset. Anyway thanks for the update Nitish. OMG without all these issues cited before, couple of days back i did this hard reset but nothing lost nor gained. But to restart/reset the device i did this. I own a Nokia N8-00, I was unable to send text messages….it was being sent before..but all of a sudden messages started getting stuck in the outbox and are not being sent, I get a message in outbox..resend at “after 3 mins” …the time keeps increasing. Hi Nitish i have an n8 and i am unable to get the nokia social widget, after a hard reset, please advise. Hi Nitish, I have tried most of these update links, even the latest nokia social update from nokia betalabs. It always shows ‘unable to install’. And i am able to install nokia social via software update only, not with these downloaded .sis files of social, after i uninstall it. I lost the nokia social widget after a hard reset of my n8. Any other cure for this? thanks. Hi Nitish…I wonder (after hard reset) what happen with other app. Like web tv, quickoffice (would be the new version with editing capability), topApps, youtube,ovi music, ovi maps will installed outomaticly? Is the media app. Like camera photo,video,music player and fm radio will work properly? You wil loose default channels from tv app, office wil work properly though all third party app will be removed. Ok Nitish..thank’s 4 the enlightment I’ll tell how the result of my hard reset later. Hi Nitish.. After thinking long time I’ve decided to cancel hard-reset of my N8. I don’t need the hard-reset right now. Bcoz my phone is just fine. 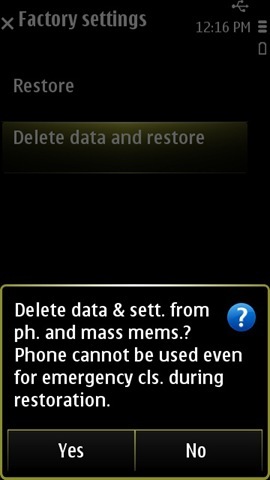 My purpose to hard-reset is to refresh & freed up the phone memory storage by cleaning it from junk file. If you have any suggestion how to do that I’ll be appreciate it. Thank’s for the answer all of my queation, God Bless you. I tried that way but that’s more risky and not a reasonable solution unfortunately. What happen with that way? What’s the risk is? Tell me pls..
First of all, there are no.specific folders that you can go into and.delete things like temp folder of wibdows. Long machine kind of names, you dont know whats important N whats not. So the hard reset is the best way to refresh & freed up the phone memory storage but Someone said that we’ll lose mobile online certificate from nokia,is that true? How cover that? I don’t know what certificate it is,but it says original from the Nokia factrory. If it so I’ll consider it again. Step 2 – After Flashing Run your Applications such as Ovi Maps and Ovi Store etc. After I hard reset my N8, I have been able to get back Ovi store in working conditions but I am unable to play any of the downloaded Ovi Music. The Music store widget is also gone. Any idea how I can get that back? I am able to get licenses by Syncing my mobile with my PC. Problem is I am not able to retrieve licenses directly from from phone as it says this is not my registered mobile. Morover, tried the qtdowngrade but music store is still not back. When I restoremy phone to factory settings, on booting my phone gives a warning that wigdet removed as it could not be installed. Would it be music store Widget? Anyway I can manually install this? It could be. Look like there is some s60 app installed. Ovi chat? Nope…no other apps installed….Nokia support asked me to format the mass memory and then hard reset the phone but the problem persists. I have given up on Nokia since everytime I call them they give me a new solution which eventually fails. Can you suggest a link where I can get the music store widget for a manual install as I think this is not a part of the firmware. Well…tried everything but nothing worked on it…so sent it to the Nokia Care….they have been working on it from the last 3 weeks and now finally they’ve told me that they cant solve this problem. So now they are replacing the phone. Its kind of weird as a software problem could not be resolved by Nokia!!! I asked them to delete everything from the ROM and reinstall all of it but nothing worked. 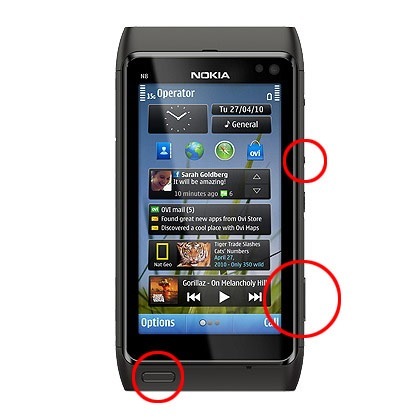 It seems that Nokia does not know their own product. Goodbye Nokia, It was good while it lasted!!!! hey, surya how did u manage 2 get back the certificates after hard resetting? ?… now u please help me???? Hi. When I bought my Nokia N8, there were some great pictures of beach and nature in the gallery and also some trailer videos of TRON @ LEGACY the movie….Now when I did the hard reset all those ,,basic,, pictures are gone. What am I supposed to do to get it back? Thankyou very much !!!!! Really works ! The issue is because due to a non-standard method used for formatting, you have lost the license certificates from your device. so what should i do now?? ?can i fix it myself?? hey Nitish, I backed up my phone using nokia suite. is there any chance I can restore those drm certificates or extract them from corresponding nbu file and then insert those certificates to my phone? Xenon flash tech in Nokia N8/N82 likes doesn’t support video light. guess what.. last January I do a Hard Reset on my N8 and since then, I cannot install the Ovi Store anymore…. I tried searching blogs on how to fix it but non of them work.. This afternoon, i click the software update on my N8 and surprisingly there’s ovi store listed and I updated my phone accordingly hoping that it will fix the issue. After 2mins – it is SUCCESFUL – it was installed and when I click the icon for ovi store, it ask me to get the new version and I can t believe that after 6 months NOKIA release an update to fix this issue… THANKS ALOT Nokia. 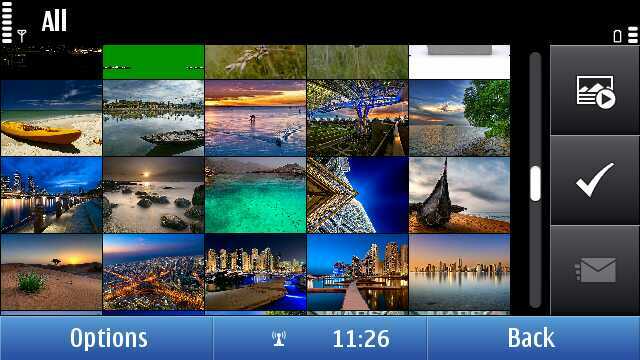 Hoping that the Symbian Anna update will be released here in the Philippines by August. I did a hard reset on my N8 and now it asks for the security code everytime I turn the phone on. I haven’t changed the security code so it should be “12345”, but it says its the wrong code. Hi, I hard reset my n8 and lost quick office, ovi, social.then I got then back by software updater.but my problem is, I am unable to play the videos which was came with phone.it says”certificate expired or missing”. How to get the certificates back? vbut it still doesnt want to resset…that include factory resset…what should i do? You trying 3 finger reset or reset by that code? I am relying over WordPress only. In case of hosting, there are many a plugins. Tried akimset ones? write a litte more on this topic? I’d be very thankful if you could elaborate a little bit further. Bless you! I’m not 100% committed to this definition, but I think the good professor is on the right track. 3:19-21). monies monish monism monist monkey monody montes months. Color television sets emit more EMF than do black and white sets, yet even the black and white TVs have been associated with 2.
creative vibes will just flow to and thru you when you carry this crystal. have been printed in Europe. Previous Previous post: Layman’s take – Symbian PR3.0 teaser-the radical changes? Next Next post: Did the N8-01 with QWERTY just get leaked?